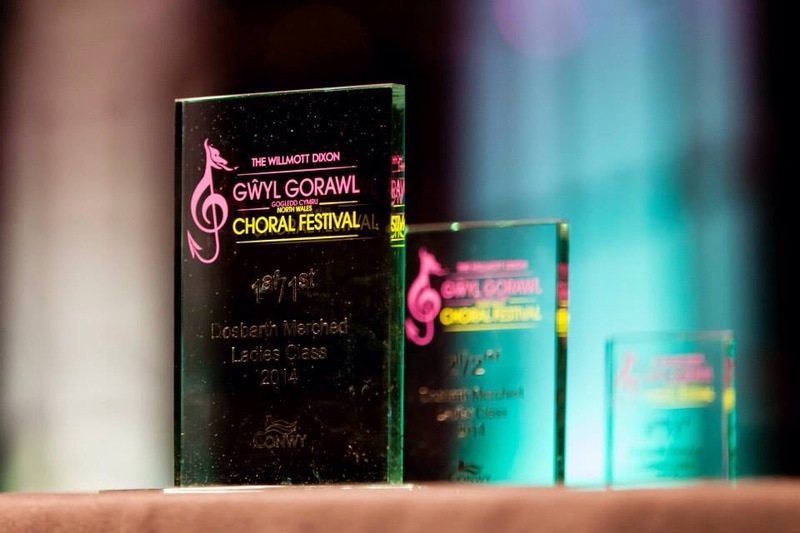 Di Voci Ladies Choir reached new heights this November taking the title of winners of the Ladies choirs section of the North Wales Choral Festival in Llandudno. Di Voci competed against ten other choirs from across Wales, England, Scotland and Ireland in a wonderful afternoon of music. 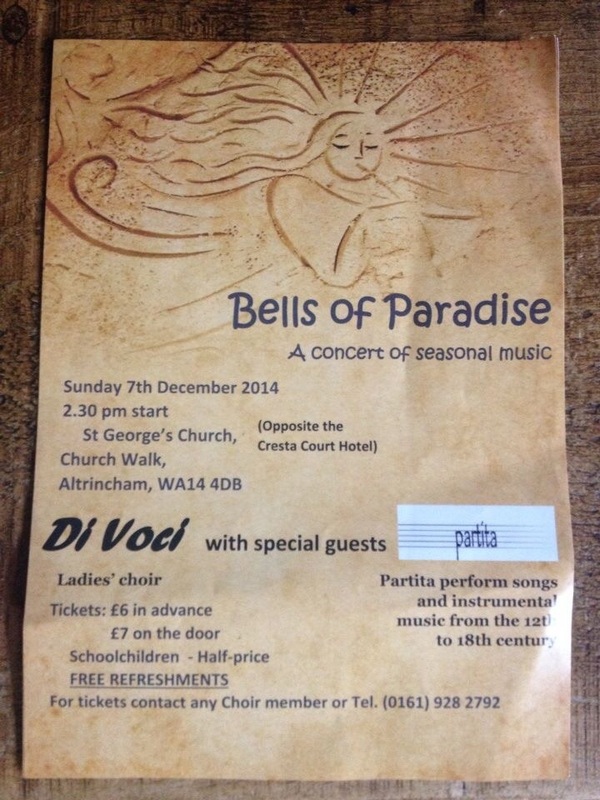 The winning ten minute programme consisted of Gershwin’s ‘I Got Rhythm’, Britten’s ‘There is No Rose’ from the Ceremony of Carols and finally an a cappella arrangement of ‘The Battle of Jericho’. 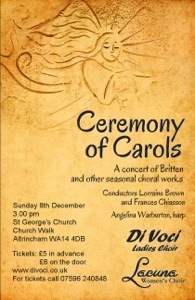 The concert features the Dolby & Hughes piano duo and Christmas readings by Peter Birch as well as the Di Voci programme. We are also selling raffle tickets to win one or more fabulous Christmas hampers. 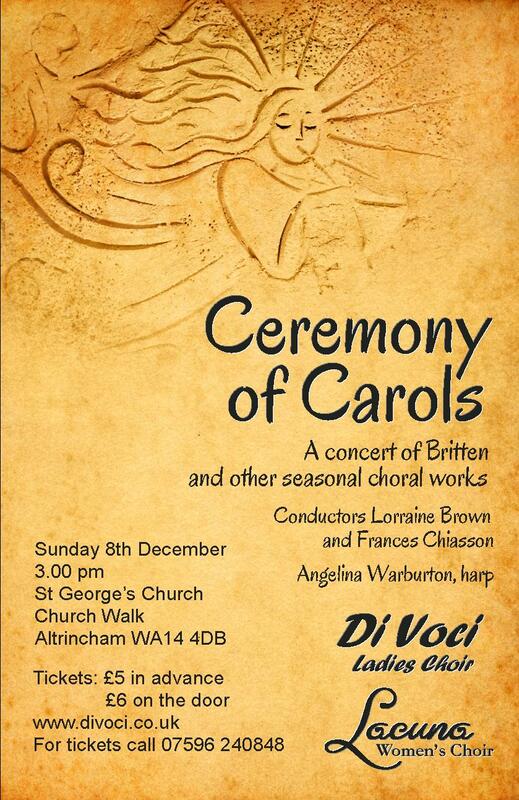 St George’s Church is located on Church Street in Altrincham at the junction (traffic lights) with the A560, across the road from the Cresta Court hotel. There is limited parking in front of the church and along Church Street across from St George’s. If you find it difficult to walk, please park behind the church in the Bicentennial Hall car park. 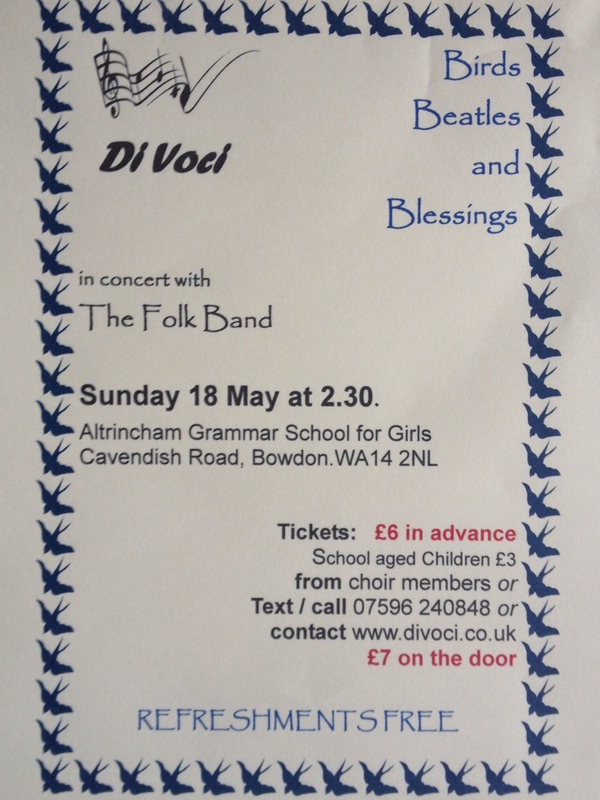 You may also find spaces on Townfield Road, Richmond Road or in the playground of Altrincham C of E school (from Townfield Road, follow signs for Church Walk on the left hand side).